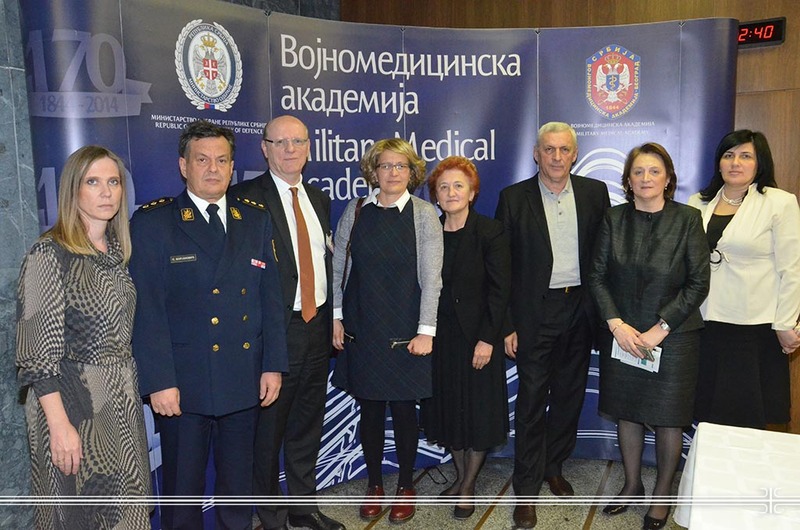 A Symposium dedicated to the hematopoietic stem cell transplantation in the treatment of hematologic diseases organized by the MMA’s Clinic for Hematology took place at the Military Medical Academy. According to the Acting head of the Clinic for Hematology Prof. Dr. Dragana Stamatovic the first hematopoietic stem cell transplantation had been performed four decades ago and almost 30 years it has been done routinely in therapeutic practice. She pointed out that it was the fourth time of such an event and that it has become a traditional venue for experience sharing at the international level in the field of malignant hematologic diseases treatment thus the transplantation being the safest way to the best outcome for leukemia, tumors of the lymph system and bone tumors. Beside the presentations delivered by the physicians from the Clinic for Hematology and the Institute of Transfusiology and Hemobiology MMA encompassing ABO incompatibility in allogenic hematopoietic stem cell transplantation , the significance of anti HLA antibodies in hematopoietic stem cell transplantation , treatment principles of lymphoma in the era of immunotherapy, the role of autologous hematopoietic stem cell transplantation in patients with acute myeloid leukemia and a prominent lecture on anti-thymocite globulin treatment in compatible sibling donors and unrelated donors delivered by Prof. Dr. Nicolaus Kröger from the University Hospital of Hamburg, an innovator in numerous transplantation fields.